The Kalliopi Koufa Foundation for the Promotion of International and Human Rights Law, in collaboration with the Trainees and New Lawyers Union of Thessaloniki and the Bar Association of Thessaloniki invite you to the scientific event titled “The refugee issue and the implementation of the EU – Turkey agreement”, dealing with the refugee crisis and the recent agreement between the European Union and Turkey. The event will take place on Thursday, 19th of May 2016 at 18:30. 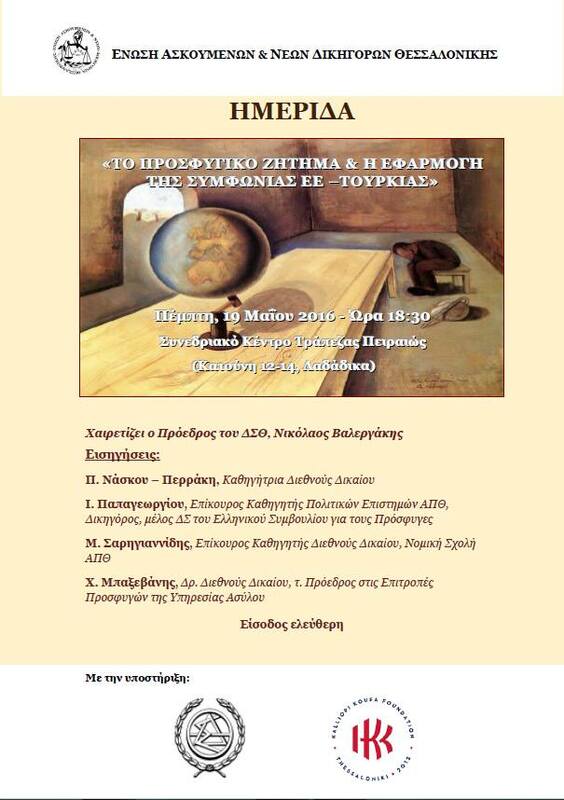 Venue: Piraeus Bank, Conference Center, 12-14 Katouni str. (Ladadika). ANNOUNCEMENT OF 2019 SUMMER COURSES!